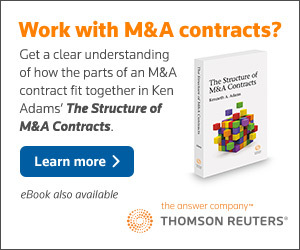 According to the Canadian periodical The Lawyers Weekly, “In the world of contract drafting, Ken Adams is the guru.” He occupies a unique position in the field of contract drafting, in that he’s the only commentator to focus on the language of contracts—not what you express in a given contract provision, but how to express it in modern and effective contract language. His book A Manual of Style for Contract Drafting (ABA 4th ed. 2017) is widely used throughout the legal profession and has sold tens of thousands of copies. 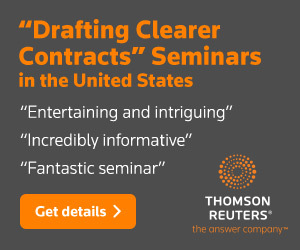 He gives seminars in the U.S., Canada, and internationally, and he acts as a consultant and expert witness. The Legal Writing Institute awarded Ken the Golden Pen Award for 2014, “to recognize his exemplary work in contract drafting.” For more information, go here. The Golden Pen Award honors those who make significant contributions to advance the cause of better legal writing. And in 2015 the ABA Journal named Ken’s blog to the Hall of Fame of its “Blawg 100”—its list of the hundred best law blogs. After graduating from the University of Pennsylvania Law School in 1989, Ken practiced corporate law in New York and Geneva, Switzerland, with major U.S. law firms. To find out how he changed from being a practicing lawyer to being an authority on contract language, see this February 2009 blog post. For a copy of Ken’s resume, go here. To see his LinkedIn profile, go here.